Can low Vitamin D cause fatigue and can the fatigue lead to weight gain? If I get on 50,000 Units of Vitamin D can that result in more energy which would result in weight loss? 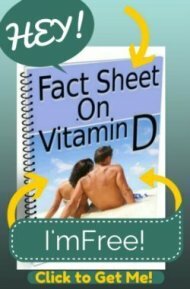 Please download my Fact Sheet on Vitamin D (pdf file) to see why I do NOT recommend that you take the 50,000 IU's of vitamin d and what to do instead. The vitamin D COULD help you to lose weight IF the vitamin d deficiency is the cause of your weight gain. There is no guarantee. It's not a weight loss drug but some people have reported weight loss after taking it when they were very deficient. But you need to understand, too, that there are lifestyle issues that ALLOWED you to get vitamin d deficient in the first place that you are going to need to address. The kinds of food you eat. How much exercise and sun you get. Your response is extremely condescending. I also have low vitamin d that stems from absorption issues. I eat very healthy and you would have lots of trouble finding fault in the foods I consume. This women reached out to you for help and instead of offering her decent advice your shamed her and ignored her problem. Not everyone who is overweight and has vitamin defiencies eats like a pig. My intent is to teach, and sometimes when people's long-held beliefs are put into doubt, the person who brought about that doubt is often seen as condescending or 'mean' or have some other negative characteristics. Also, the thought never even crossed my MIND that she 'eats like a pig' and that led to her being overweight. My thoughts about her diet were totally and completely different concept than 'eating like a pig'. I hope that you are not 'projecting' your beliefs onto my comments, because I neither said nor implied any such thing! So, this is not being condescending, but I'm just going to comment on what you said. You claim that it would be 'hard to find fault with your diet', which implies that you seem to believe that your diet should meet your vitamin D needs? Am I correct? So, if that is true, are you willing to play and tell me the foods you eat each day that contain Vitamin D in sufficient amounts to meet your needs? I'm not trying to be condescending, what I am trying to do is to find out what you actually know about your diet. I'm doing this because you made two statements in your comment that lead me to believe that you actually have very little knowledge about your diet, and so I'm curious what you know, and what your diet actually is. The VAST majority of people that I talk to eat horribly, and nearly 100% of them BELIEVE that they eat nearly perfectly! So, do you want to put aside your ideas about my motivation and play my game? Just to play along- I eat Greek yogurt, fish, milk, cheese, and eggs. Those are just the foods high in Vitamin D. I make everything from scratch and eliminated white flour and processed foods. The fact that you believe I am ignorant of my own diet demonstrates what I said before. You jumped to conclusions on that woman's diet without knowing anything about it. Yes, she shouldn't take that much vitamin d a day for the sole purpose of losing weight but there may be more going on with her health wise. I pay very close attention to my diet since finding out I have a genetic mutation that limits the type of foods I eat. I forgot to mention that my doctor has me take 5000 IU of Vitamin D3 a day and my levels still read low. OK, Great. I'm glad that you are playing along. So, I'll analyze the foods you say are 'high' in vitamin d and make a few comments about your diet. Lets start with your 'high vitamin d foods'. * Greek yogurt: 0 IU's of vitamin D in most yogurts since milk does not naturally have vitamin d. And virtually all yogurts are made with milk from factory raised cows and thus is highly inflammatory and is not fit for human consumption. Most have sugar and flavorings as well. So, unless you are making your own Greek yogurt from grass-fed cows from your local dairy that is providing you with raw milk, it's not something that should be considered 'food'. It's a processed food product. * Milk: About 100 IU's per 8 ounces. When most people's needs are around 5000 IU's a day for a MAINTENANCE dose, then that is a completely insignificant amount unless your entire caloric daily balance is going towards milk. Plus, unless your milk is raw (and hence would have no Vitamin D), it's made from factory fed cows. IF you are GETTING Vitamin D from milk, then you are drinking 'vitamin d milk', and it's from factory raised cows and is not fit for human consumption. You say that you've eliminated processed foods, but 'store bought' dairy IS a processed food and is likely contributing to your malabsorption because of the inflammation it's causing in your gut, the antibiotics and pesticides you are having to detoxify, and the immune reaction from the processing. Cheese: Almost no cheese has vitamin d since milk does not have vitamin D naturally, and only processed cheese is fortified with it. And again, unless your cheese is from raw milk, it's almost certainly from factory farmed cows, is highly inflammatory, and is not fit for human consumption. So, you've given me 3 highly inflammatory, processed foods not fit for human consumption that you eat every day. * Fish: Unless it's WILD CAUGHT fatty fish, will not contribute significantly to your vitamin D needs. If it IS fatty wild caught fish, I doubt you are eating it with any such regularity that it contributes significantly to your vitamin D intake as it's quite expensive. Most fish is farmed, is fed grains, and is thus an inflammatory food. Factory farmed fish, even if it's salmon, has little vitamin D. It's debateable whether factory farmed fish should even be considered a 'food' that is fit for human consumption. * Eggs: have about 10 IU's per egg. That is a 'barely detectable' level of vitamin d. PLus, again, most eggs are 'factory raised' and have low nutrition. To call eggs 'high' in vitamin D is basically saying that any detectable level of vitamin d in any food means that it contains 'high' levels of vitamin d. Factory farmed eggs are almost certainly inflammatory in nature because of the inflammatory, low nutrition foods the chickens are fed. You are taking 5000 IU's of Vitamin D to make up for the lack of vitamin D in your diet, Which is excellent, and I highly recommend it! However, in your first post, you seemed to be saying that you diet SHOULD meet your needs for Vitamin D and it's only your absorption issue that is keeping your vitamin D levels down. But clearly, your diet does not, and could not meet your vitamin D needs unless you ate several pounds of wild-caught fatty fish every day. The point being that diet does not and cannot meet anyone's vitamin D needs in modern day, unless they are fisherman in Alaska, perhaps, and a generous amount of their calories every day comes from their catch. Anyone who believes that a modern diet 'should' meet their needs clearly is not educated about diet! Hence my original comment and why I wanted you to 'play along' by giving me examples of your diet that you think should meet your vitamin D needs. AT MOST, even if you ate 4 ounces of wild-caught fatty fish per day, the diet you gave me would only provide you about 300-600 IU's of vitamin D every day, coming mostly from the fish. Which is about 1/10th of the basic daily needs for most people. If you ate wild-caught fatty fish every OTHER day, you'd be getting about an average of 200-300 IU's of vitamin D per day, mostly coming from fortified, factory-raised 'vitamin D milk'. And even if you've eliminated white flour and 'processed foods', you do not say whether you are gluten free. You are CERTAINLY not 'inflammatory food' free. Gluten and 'factory raised' dairy are some of the most inflammatory foods out there! Also, not everyone without an absorption issue taking 5000 IU's per day is going to be sufficient in Vitamin D. 5000 IU's is a MAINTENANCE dose for the average person, it's not a dose that would make low levels rise. So, if your levels were very low to start with, you would need a higher dose of vitamin D UNTIL your levels were 'optimal', THEN you could back off to 5000 IU's per day. You can't use a maintenance dose to get your vitamin D levels UP, it's a dose to maintain CURRENT levels. If those levels are low, you are maintaining low levels with 5000 IU's of Vitamin D plus the insignificant amount in your diet. But even if you took 10,000 IU's of Vitamin D per day, you might not become Vitamin D sufficient with or without an 'absorption' problem. If you are low in magnesium, Vitamin A, and Vitamin K, which by the looks of the things you eat every day, you are certainly low in those things, AND you have an absorption issue that is either caused or exacerbated by your diet, then you are not going to be sufficient in Vitamin D.
So, do you see why I said what I said to the original poster? My point to her was that taking vitamin D, without changing her lifestyle factors that CAUSED her to become Vitamin D deficient in the first place, will probably not solve her problems of fatigue and weight gain. That is literally all that I said. I did not imply, nor did it even enter my consciousness that she was 'eating like a pig', only that she is eating incorrectly, and it's contributing to her health problems- just as you are doing! So, again, I'm not being condescending. I'm pointing out facts. Your diet leaves much to be desired: it sounds like the perfect governmental 'food pyramid' diet that is disastrous for human health and has no basis in any food science. It's highly inflammatory, low in micronutrients, and is either the cause of, or contributing to your malabsorption problems. I'm not trying to be 'mean', but telling people facts that they do not want to hear often sounds 'mean' to some people. If you'd like to solve your absorption problems, and get your vitamin D levels (and other micronutrient deficiencies) up to optimal, then you'll need to make some major dietary changes. I used to be like most people here as well. I thought my diet was 'great'. I literally lived in the health industry from the time that I was 12 years old. I'm sad to say that my diet was terrible for many many years, despite me thinking that it was extremely healthy. I, too, was drinking 'healthy' milk every day and 'whole grains' that were ravaging my health. 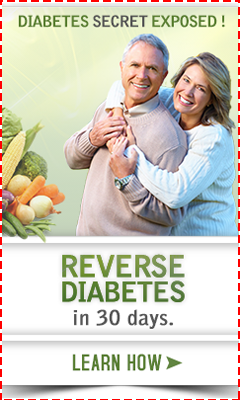 My attempt here is to teach and help people regain their health. If facts hurt some people's feelings, it's likely because their world view is being challenged. I make the comments that I do based on my experiences with 99% of people with health problems who believe that they 'eat healthy'. Almost none come close. For the 1% that do, it's a challenge every day to make sure we eat right, and those that eat spectacularly would NEVER say that no one could find fault with their diet, as they well understand the challenge it takes to eat healthy. They themselves find fault with their diet every day as they search for the best way, in the modern day, to replace the highly nutrient-dense anti-inflammatory diet that healthy indigenous people ate. It's an ongoing and challenging process. Based on a small, incomplete amount of information you made assumptions about the rest of my diet and my income level. You should have also divined that I consult my doctor and nutritionist to balance my diet as needed. Perhaps if you had as much determination in helping the original poster as you have shown in your desire to condemn my eating habits, you might have been able to give her a more helpful response. Just look at how much information you have piled on me after I challenged you. So, first you believe that I told the poster that I thought she was 'eating like a pig', then you believe that I made disparaging remarks about your income, and that I 'condemned' your eating habits, as if your diet is a personality trait? How strange. I also noticed that you did not rebut my comments about your diet after I told you why it's highly inflammatory, destructive to your health, and explains your health issues. Instead, you fixated on a bizarre accusation that I somehow disparaged your income, and condemned YOU because I commented that your diet is highly inflammatory and is probably contributing to destroying your health, despite you volunteering your diet info for my perusal? How you came to the conclusion that I was disparaging your income is beyond me, and completely beyond any point that I was making. And why you would take a critique about your diet so personally seems very strange, considering you volunteered the info with the foreknowledge that it would be critiqued! If you are seeing a doctor for nutritional advice (doctors have zero nutritional education, why would you consult someone with zero education in nutrition about nutrition?) and a nutritionist that believes that you can meet your Vitamin D needs through diet, and encourages you to eat 'store bought' dairy for any reason, I'd say that your consultations are helping to destroy your health! Anyone who advocates drinking store-bought dairy is ignorant and destroying the health of her/his clients. Said nutritionist seems to be spouting the party line of the horribly destructive 'food pyramid'. If I went to a nutritionist and they advised me to eat store-bought Greek yogurt, I'd walk out on them immediately as they obviously have no idea about nutrition whatsoever. I'm curious if said doctor and nutritionist are also giving you the destructive 'conventional wisdom' to eat 'whole grains' and to use health-destroying vegetable oils, while avoiding saturated fats. I suspect they are, but I hope not for your sake. I'm sorry that you are unwilling to take the opportunity to learn about why your diet is contributing to your health problems in favor of trying your best to disparage me based on things that I did not say nor imply! I'm not sure why you felt the need to attack me, but it probably would have been more productive for you to take the opportunity to learn more about your health than to have fixated on disparaging me for what I did not say. Good luck in regaining your health with the destructive advice you are being given. I hope that you choose to overlook your perceptions about me and look more into what I have actually said, for the sake of your health.